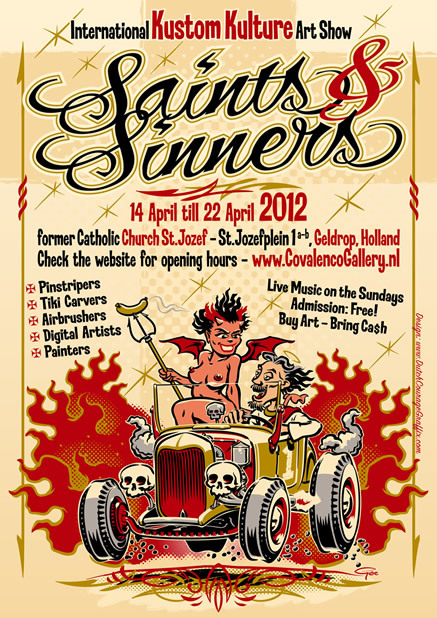 You might have seen us before at a car show, maybe at a tattoo convention, a bike show or a car meeting. At these shows we are always the sideshow so it was about time we got a show where we would be the headliner. 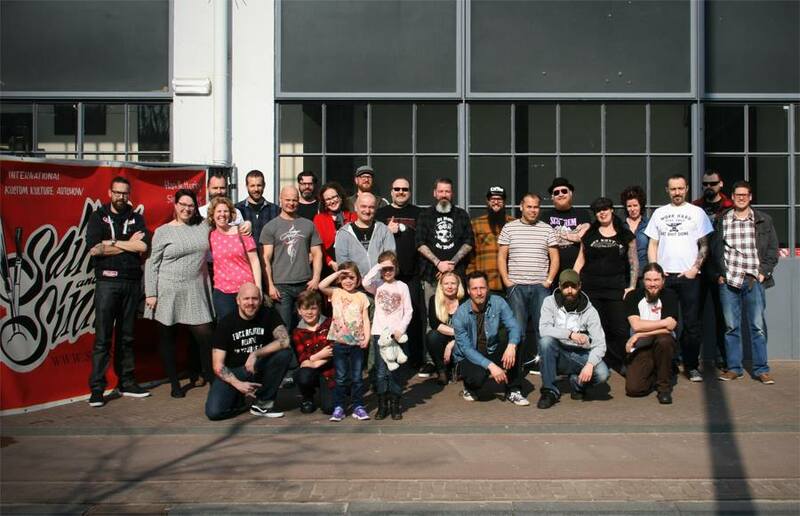 In 2012 Frank was asked by a museum owner in Geldrop to organise a show just for Kustom Kulture art. How cool is that? 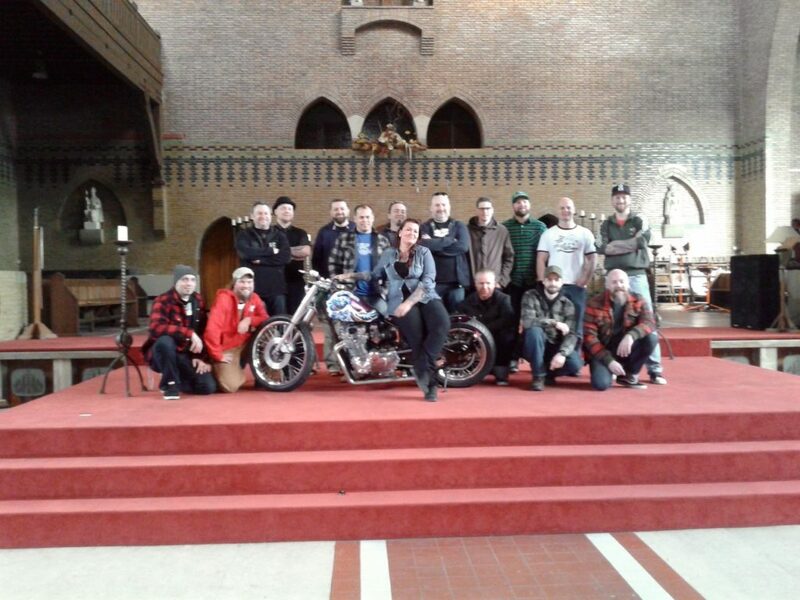 And the best thing was it was in a former Catholic Church, what a sweet location! 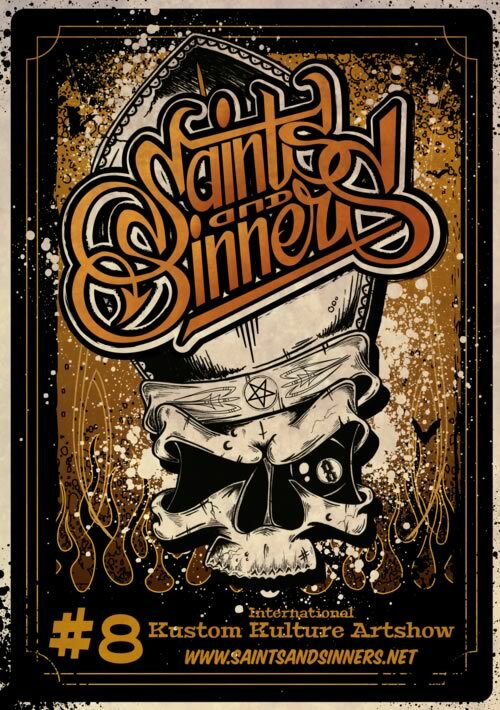 For the first 3 years this has been the awsome backdrop of the Saints & Sinners show. And it was mental! 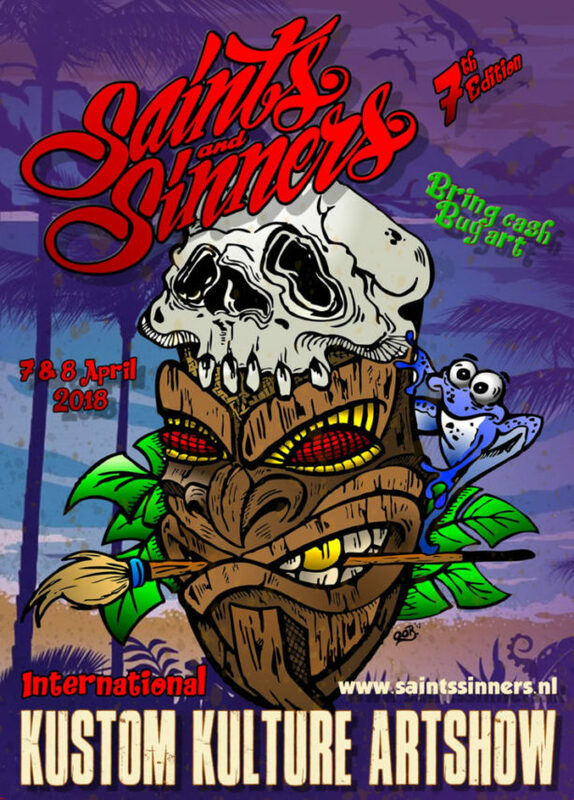 Great artists from the Netherlands, Belgium, Luxembourg and Germany have showed their skills at this show. Loads of visitors from the same countries and beyond came to look at our art and brought it back to their own homes. Right from the get go, our show was like no other in any of these countries. Number four and five were in Eindhoven at the Klokgebouw. A city where more visitors were able to find their way to this venue. Not just rockabillies, bikers or car people but also store owners, barbers, other craftsmen or anyone else who would like to see this kind of skills, up close and personal. 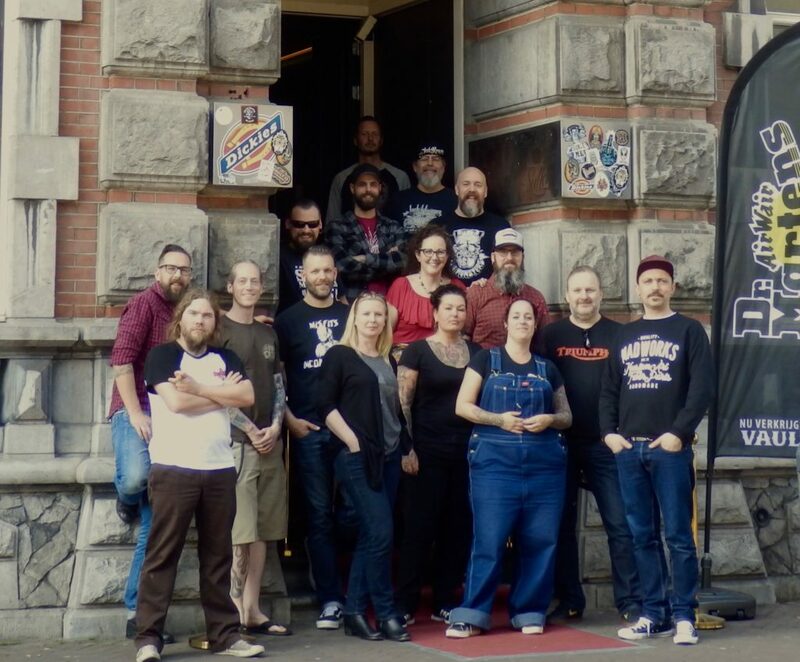 For the 2017 edition we set up shop in Venlo at Vault 13, a bit further south, a bit closer to our German friends and again a sweet location. Vault 13 is not only a well known tattoo parlour in a huge classical building, but also a clothing shop and barbershop. In 2018 for the first time we were not alone and not free. 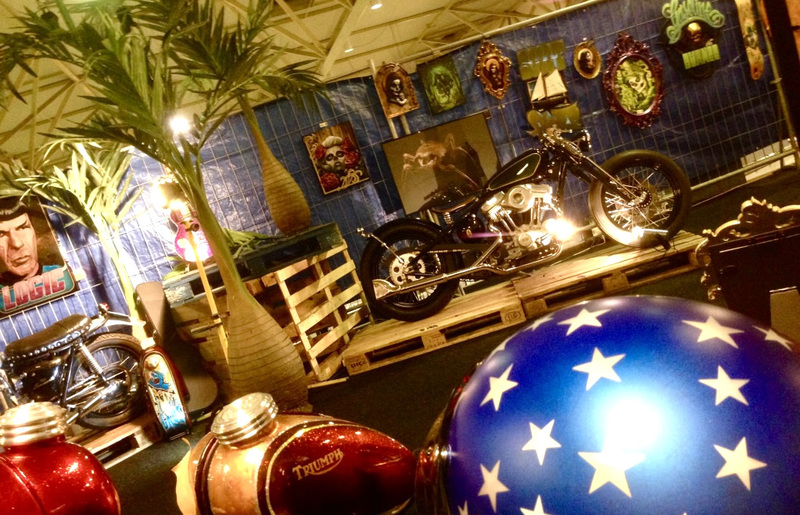 We joined the International Airbrushshow and the Oldtimershow in the Autotron in Rosmalen (NL). A great venue but a hard choice for us because it meant we could not be true to our original concept of a free and solo show. It was the only way we could keep the show going and even growing. 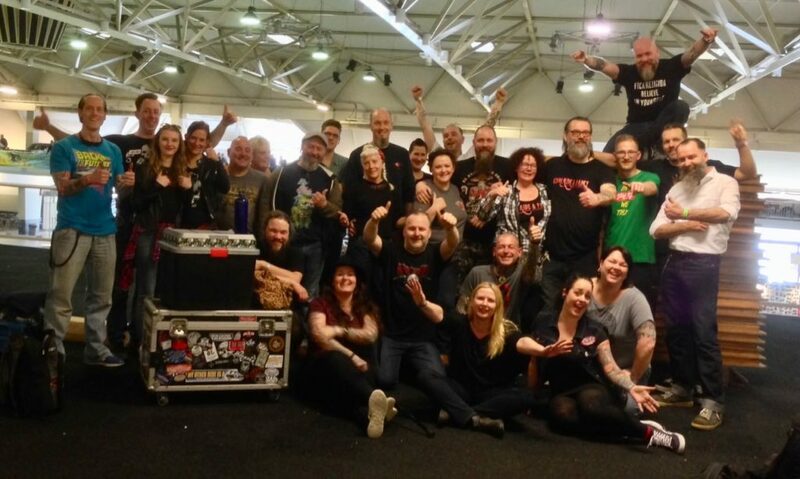 We still had an amazing, show especially with the live music and the ‘Kustom Kulture Royalty’ that came from al over Europe, to be seen by thousands of paint sniffers and petrol heads. 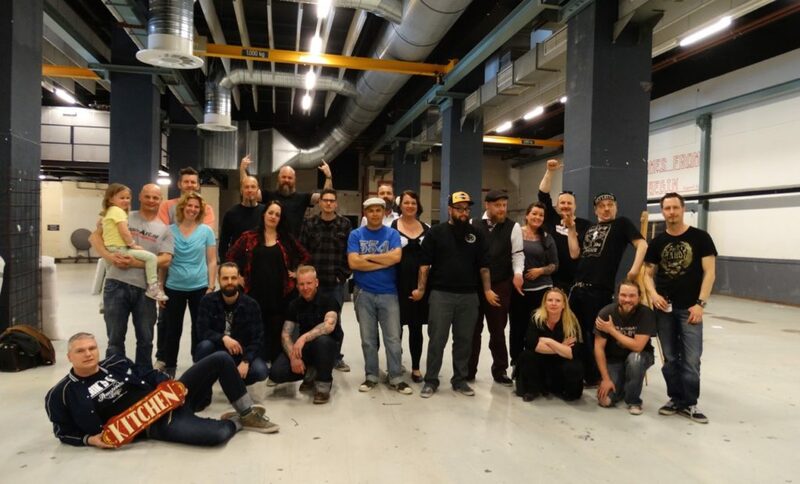 For 2019 we could not come to terms with the other shows in Autotron and we skipped a year so we could land in………. “ As we write this we have the date and the location confirmed. 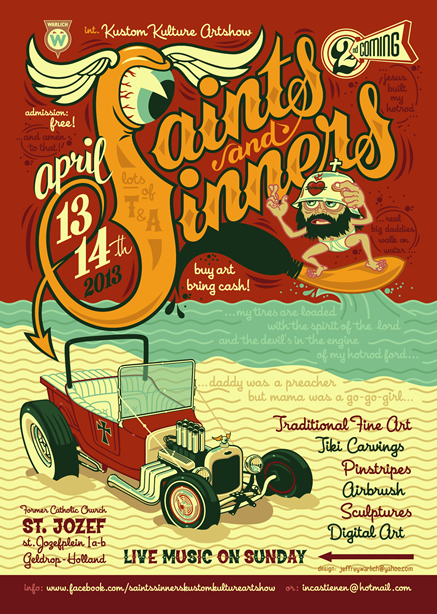 The show is still a year away so we have a lot of organizing to do, we will aim to have live music again and maybe add some new art forms to show. 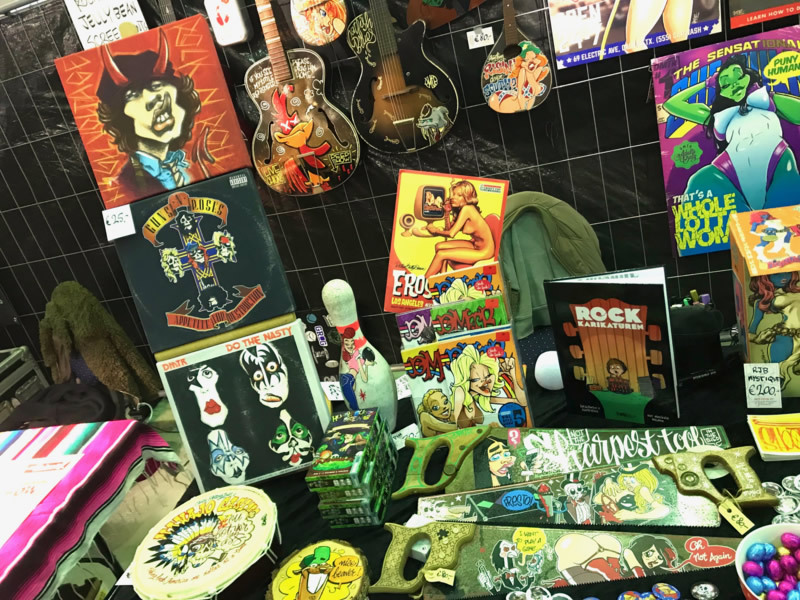 We have already had talks with leatherworkers an Kustom Kulture related tattoo artists, car clubs, a bike dealership and so on! We will see what we can set up for 2020! 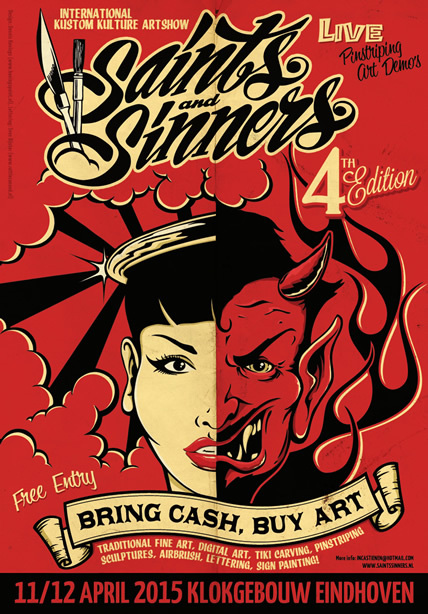 We have loads of room so we will also set up a Kustom Kulture market with vendors next to all the artists that sell their art. 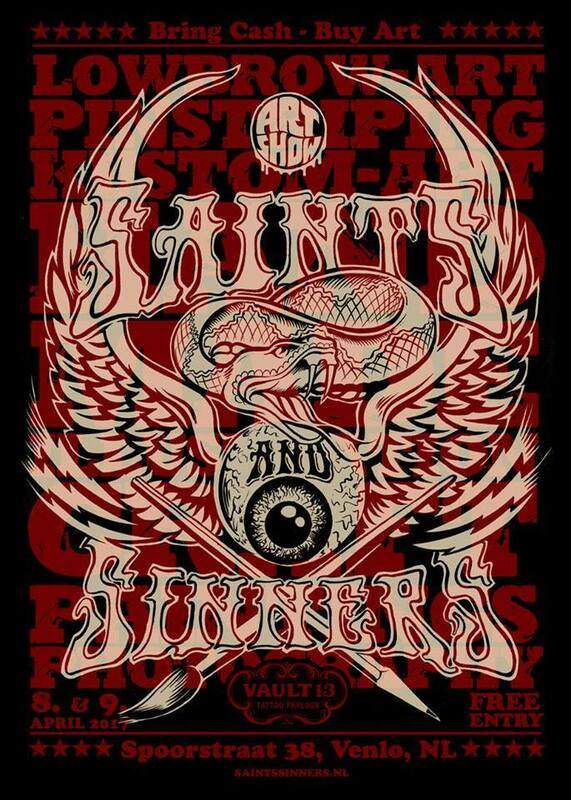 Organisation Saints & Sinners Kustom Kulture Artshow.